Howl's Moving Castle is a 2004 Japanese animated fantasy film written and directed by Hayao Miyazaki. The film is based on the novel of the same name by British writer Diana Wynne Jones. The film was produced by Toshio Suzuki, animated by Studio Ghibli and distributed by Toho. For the idea Jones "very much" thanked "a boy in a school I was visiting", whose name she had noted but lost and forgotten. He had "asked me to write a book titled The Moving Castle Comes to Life. 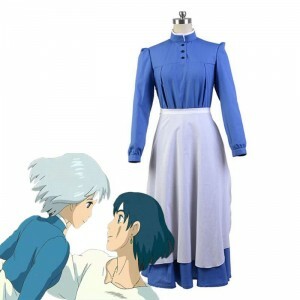 Numerous fans of Miyazaki Hayao are searching for the best cosplay costumes. 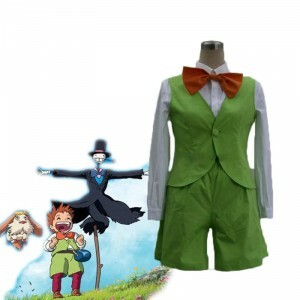 Shop at RoleCosplay to find unique but cheap cosplay costumes related Markl items directly from our own factory. 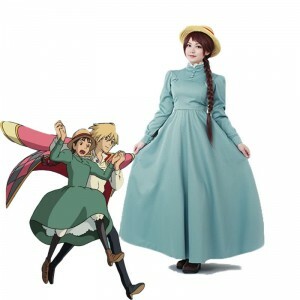 Markl cospaly suit is better in daily life.There are also many other roles in the manga cosplayed a lot, such as Sophie. It is for women perfectly.